By Dr. Joseph Belmonte, author of Buffett and Beyond. 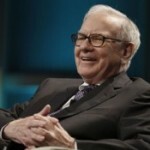 The professor has built up a good track record over the years focusing on stocks with high return on equity (ROE). He calculates ROE in a different manner than most investors, but his main message is similar to a lot of Buffett fans: Look for stocks that have consistently high ROE and hold them for a very long time. While that approach makes a great deal of sense, I think investors also need to pay attention to valuations. I decided to do some research to see if I can find stocks in the high-ROE universe that also satisfy my inherently cheap skate nature. I searched for stocks with high sustained ROE of 20% and then limited the list to only those names that trade in the bottom 10% of stocks as ranked by the Enterprise Value/EBITDA ratio, which is sometimes known as the enterprise multiple. This ratio is an alternative to looking at the price-to-earnings ratio. The advantage is that, unlike the P/E ratio, the EV/EBITDA ratio takes a company’s debt into account. The result was an interesting mix of stocks. Here are three worthy of consideration. Tata Motors (TTM) makes the grade. With the exception of 2009, its ROE has been north of 20% every year for the past ten. The Indian car company should see even stronger results in the years ahead as the new government continues to take the country in a pro-business direction. In addition to the Indian market, Tata has a presence in fast growing emerging markets in Asia, Africa, South America and the Middle East. Analysts expect the company to grow at a 25% annual rate. The stock has had strong 2014 performance and is up nearly 50% year-to-date. Nonetheless, with an EV/EBITDA ratio of 3, the stock appears cheap given its consistent returns and growth potential. 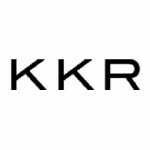 Private equity firm KKR & Co. (KKR) is another company with fairly high and consistent ROE since it went public in 2009. The company earns money based on the fees it charges investors in the private equity funds it manages. Like other private equity firms, it has been cashing in the past couple of years and is generating strong bottom line profits. Since KKR became a public company, ROE has averaged over 30%. The company has raised several large funds in the past year that should produce a steady stream of fee income going forward. KKR has a generous dividend policy that commits the company to pay out 40 percent of its balance sheet income as a dividend every quarter. The shares are yielding 7.8% right now and are very reasonably priced with an EV/EBITDA ratio of 2.4. I was somewhat surprised to find a large blue chip company on my list. 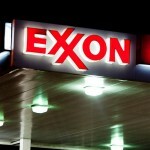 But Exxon Mobil (XOM) has consistently earned very high returns on equity. Over the past decade, ROE has averaged 26%. Even better, the EV/EBITDA ratio of 5.7 places it firmly in the bottom decile of stocks as ranked by this measure. The shares have been down this year along with the price of oil, but over the long haul should do well as oil demand increases in the future. Buying companies that earn high sustained returns on equity makes a lot of sense. But I like to find those that are also on sale. These three fit the bill and seem worthy of consideration for long-term investors. How would you like to collect some cash from a couple of high-dividend stocks whose products you can actually use for fun? If you invest in a consumer products company like Colgate-Palmolive (CL), you might help ‘em out by purchasing a bar of its soap. That’s kinda dull. But with Cedar Fair, L.P. (FUN) and Six Flags Entertainment Corp (SIX) — two classic amusement park operators — you can literally ride your investment all the way to the bank. Six Flags, headquartered in Texas, owns 16 amusement parks throughout the U.S. with an additional one in Mexico City and one in Canada. For its recent third quarter, SIX stock reported adjusted earnings per share of $1.56, a 28% year-over-year increase, on record revenue of $542 million, a 7% increase. Adjusted EBITDA, a favored metric of the amusement park industry, came in at $291 million, up 8%. And the dividend kept growing, as SIX stock increased its payout by 11%. Cedar Fair, with its legacy park Cedar Point located in Ohio, owns 11 parks across the U.S. and Canada. FUN stock also raised its dividend, increasing its payout from 70 cents to 75 cents, a 7% hike. Its financial results, though, weren’t as impressive as Six Flags’. Cedar Fair increased Q3 net revenues by 1% to $595 million, while adjusted EBITDA was off slightly, at $316 million in the third quarter compared to $318 million in last year’s same quarter. FUN stock’s EPS for the quarter was down to $2.91 from $3.41 as well. Poor weather, especially for Cedar Fair’s Midwestern parks, blunted its performance. A Wild Ride Some investors are uneasy with FUN stock or SIX Stock, high dividends notwithstanding. And that’s understandable. Both companies have had major troubles in their recent past — Six Flags went through bankruptcy proceedings in 2009, while Cedar Fair flirted with financial disaster after it took on $1.24 billion in debt to purchase Paramount Parks in 2006. The Great Recession added to these woes. Further weighing on both companies is the fact that they’re pure plays in the amusement park space, unlike Walt Disney Co (DIS), which is diversified with its massive movie and TV business. Both Cedar Fair and Six Flags also suffered from questionable management decisions, but both have found new leadership and new life in a better economy. Six Flags is increasing attendance and is growing its revenue. Although Cedar Fair had some bumps in the quarter, in the last couple of years its operations have stabilized and it shows healthy numbers. Both companies continue to invest in their parks while keeping a closer eye on expenses and debt. Key for investors in high-dividend stocks, both FUN stock and SIX stock are committed to raising their dividends. Six Flags has grown its payout more than 70% in the past two years alone — Cedar Fair’s has jumped by almost 90%! Also, it’s worth pointing out that some investors might be nervous about the underlying financial structure of FUN stock. Cedar Fair is a master limited partnership, or MLP, so its metrics are a little different than other stocks. Non-cash depreciation is a large factor in MLP accounting, so this skews ordinary dividend payout ratios. Because of this, adjusted EBITDA accurately shows that MLPs actually have more cash on hand to pay dividends than income numbers show. The take-home info for investors is that adjusted EBITDA is considered by industry analysts as a better measure of dividend coverage than earnings are. Even though SIX stock isn’t an MLP, the non-cash depreciation factor works there much like it does for MLPs in distorting the dividend coverage. So, again, adjusted EBITDA is considered a truer measure. On that front, SIX stock’s payout ratio is a bit high at roughly 80% — not dangerous, but doesn’t leave a ton of room for massive dividend growth — while FUN is at a perfectly fine 50%. 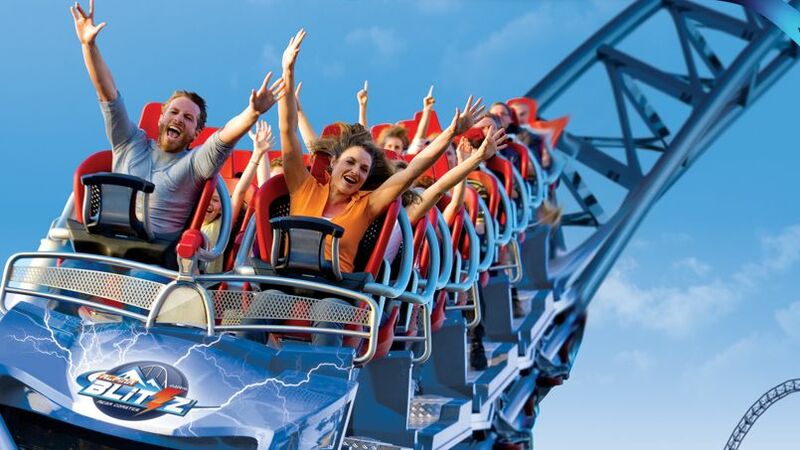 Riding the High-Dividend Stocks Investors with a low risk tolerance who are uncomfortable about the potential roller coaster of the amusement park business should probably skip FUN and SIX stock. Both companies, however, are managing their risks better than in previous years. I think the current stability and growth potential in the amusement park industry more than balances out these risks, anyway. So if you’re looking for high-dividend stocks, you could do much worse than Six Flags and Cedar Fair. Right before the emerging markets boom of the mid 90's, I stressed to my parents to diversify their portfolio into at least 60% international and international royalty businesses. If only they had listened. My mother is listening now. She has only 50% US allocation and the remaining broken up between Asian, Russian, Canadian and Indian sectors. We did this about two years ago and she has been enjoying an 84% gain since doing so. If there is one issue facing retirement investors — aside from not saving enough — is that their portfolios may be just a tad bit too U.S.-centric. And the phenomenon could be costing you some serious money over the long term. That’s because as we’ve become more of a global and interconnected economy, the U.S. has seen its leadership position slip. When looking at the world’s stock market capitalization, back in 1985, the U.S. was the leader and made up around 50% of the total. By 2012, that amount had dwindled to just 35%. Meanwhile, international companies are quickly becoming the global leaders across various sectors. Think about it. You’re just a likely to see a Toyota (TM) on the road as you are a Ford (F) these days. By being so U.S.-focused, retirement investors are missing out on the vast bulk of the world’s opportunities. Adding a dose of international stocks these days is critical for retirement investors. Luckily, it’s pretty easy to add that dose. Here’s one stock, one exchange-traded fund (ETF) and one mutual fund to get you started. 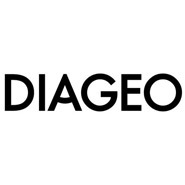 International Stocks For Retirement — Diageo plc (DEO) For retirement investors looking for a single firm in order to boost their exposure to international stocks, the company should be a global leader in its respective industry. And you can’t get much bigger than spirits maker Diageo plc (DEO). ﻿﻿Booze brands like Johnnie Walker, Smirnoff, Captain Morgan and Guinness are global powerhouses within their respective beverage categories. All in all, DEO’s brand range includes 14 of the top 100 premium distilled spirits brands and seven of the top 20 premium spirits brands worldwide. That edge gives DEO some pretty decent pricing power. It also provides some pretty hefty cash flows and earnings. While full-year 2014 earnings ended up dropping versus 2013, the DEO has really rewarded shareholders over the long haul. Over the past 15 consecutive years, Diageo has managed to hike its dividend payment and currently yields 3.5%. Meanwhile, over the past decade, DEO stock has had averaged annual gains of about 11.5%. 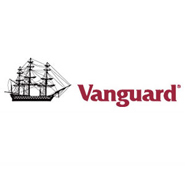 Vanguard Total International Stock ETF (VXUS) How would you like to buy the whole world outside the United States with just one ticker? Well, that’s just what the Vanguard Total International Stock ETF (VXUS) does. The ETF tracks the FTSE Global All Cap ex US Index, which covers 98% of the world’s non-U.S. markets. As for returns, the fund’s benchmark has managed to return a decent 6.89% annual return over the last ten years. That’s almost every small- mid- and large-cap stock in Europe, the Pacific, North America as well as emerging markets. 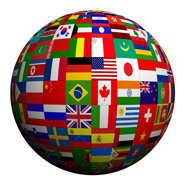 The largest countries represented in the index are Japan, the United Kingdom, Canada, Australia and France. 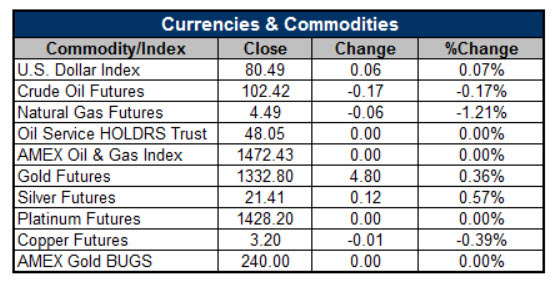 Emerging markets make up around 19% of the VXUS. That’s a staggering 5,798 different firms all under one ticker. All in all, VXUS makes adding international stocks and boosting your weighting a piece of cake. And since it’s from Vanguard, you know that the ETF’s expenses are going to be cheap. VXUS only charges 0.14% — or $14 per $10,000 invested — to own. That’s significantly less than the 1.36% than the average charge from funds focused on international stocks. Not to mention that VXUS yields a U.S.-beating 2.83%. more exposure to international stocks, the Fidelity International Capital Appreciation Fund (FIVFX) could be a good choice. and what he calls the three B’s — brands, barriers to entry and best-in-class management teams. He then screens for fundamentals and selects 30 to 50 stocks to buy. So far, that strategy has worked well. FIVFX has managed to outperform its benchmark throughout the life of the mutual fund — including down periods. All in all, FIVFX has managed to turn $10,000 invested in 2004 into nearly $18,000 today. Expenses for this mutual fund of international stocks are more than a passive option at 1.12%, but they are still below the Lipper average cost for similar mutual funds. And considering how well Simnegar has done, paying that fee may be worth it. The minimum investment for FIVFX is $3,000. 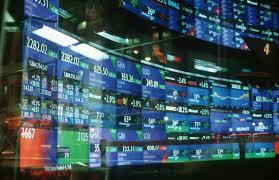 Most investors look at the market each day hoping to see a higher close for the day. If the prices of their current holdings are higher they fell pretty good about themselves and if they are lower it adds a bit of a cloud to the day. I am exactly the opposite right now. Outside of my community bank stock portfolio my biggest holding is cash. I have not been able to find enough deep value situations that have a margin of safety to get anywhere close to fully invested. Higher prices at the end of the day just add to my frustration. I am one of the few people on the planet who is openly cheering for much lower stock prices right now. There are some great companies that are tantalizingly close to being safe and cheap. These are solid companies that I think would be fantastic longterm value stocks and I would love to own them at the right price. I would love to see the markets fall and drag these companies down into my buy range. Value Stocks: LeapFrog Enterprises, Inc. (LF) LeapFrog Enterprises, Inc. (LF) is a value stock to buy. I am a huge fan of the company’s toys and electronic products for kids. My own are a little old for them now but the parents I talk with are big fans of LeapFrog’s educational offerings. They are on many of the best toys list this year and they should have a pretty good holiday selling season. Insiders have been buying shares of the company recently and several have exercised their stock options and kept the shares, one assumes, because of their confidence in the future of the company. LeapFrog has no debt and a current ratio of 3.7 so the balance sheet is strong right now. The Altman Z-score is 3.3 so LF is financially strong and an adequate margin of safety exists in the balance sheet. LF stock trades right at tangible book value right now and I need about a 50 cents additional price decline for this stock to make my buy list. Value Stocks: Kimball International Inc (KBAL) Kimball International (KBAL) is another value stock I would love to buy on a big selloff in the market. The company spunoff its contract electronics business in October and is now focused entirely on the furniture business. KBAL has three lines of furniture covering office, schools, dining and hospitality needs. The hospitality division is very well-positioned right now as the hotel industry is improving rapidly and there is some pent-up demand for replacement furniture across the industry. The headwinds for commercial furniture are fading in the U.S. and Kimball should reap the rewards of increased spending over the next few year. Post-spinoff, the stock trades at about 1.2 times book value so I need another $2 or so decline in the stock price so I can add it to my portfolio. Kimball has no long-term debt and an Altman Z-score of 4.2, so the stock is safe. All I need now is cheap. Bottom Line I know it feels good to see stock prices higher at the end of the day, but if you are looking at investments for five years of longer and you have some cash on hand, you should really be cheering for lower prices — not higher — right now and invest in some value stocks. Chinese stocks are great buys at today's prices. Just don't hold them for long. The mantra of the permabull is to buy and hold stocks for the long run. That sounds good, and history has generally been on the side of the optimists. But buying and holding can also be a horrendously bad idea. Consider the case of Japan. High starting valuations, chronic deflation and lousy demographics have caused Japanese stocks to slump into a multi-decade bear market. Had you bought the Nikkei 225 in 1989, your portfolio would be worth less than half your starting value today. Let’s jump back into Chinese stocks and why I consider them to be a fantastic buy at current prices. I’ll start with one of my favorite valuation metrics, the cyclically-adjusted price earnings ratio (“CAPE”). The CAPE smooths out the volatile ups and downs of the business cycle by taking an average of the past 10 years’ worth of earnings. Don’t worry, you don’t have to do the math. Research Affiliates, the research firm led by “smart beta” pioneer Rob Arnott, recently created a great research tool that enables you to choose any eight world markets and compare their valuations. Research Affiliates then takes it a step further by forecasting the expected return over the next 10 years based on those valuations. For those who like to delve into the nitty-gritty details, the forecasting methodology is explained here. Chinese stocks currently trade at a CAPE of 14.6. That may not sound exceptionally cheap until you see that their median CAPE over time is 18.5 and their pre-crisis high CAPE was nearly 50. Arnott and company estimate that Chinese stocks are priced to deliver inflation adjusted returns of about 7% per year over the next 10 years. Rival estimates by Wellershoff & Partners put the estimate at nearly double Arnott’s. But however you slice it, Chinese stocks are cheap. There is one other major reason to expect Chinese stocks to perform well. China’s central bank is expected to step up its stimulus plan following a string of disappointing data. The People’s Bank of China lowered its benchmark rate last month, and China watchers expect a cut to bank reserve requirements. These expectations are already showing up in Chinese stock prices. The iShares China Large Cap ETF (FXI) has quietly been rallying since October and is within striking distance of a new 52-week high. Now for the bad news. Looking longer term, China has a bleak future. In fact, I would go so far as to say China has no future. China has had a major birth dearth over the past 30 years due to the One Child Policy. That actually gave China something of a demographic dividend, as man hours that would normally have been spent raising babies were instead diverted to industrial development. But in the process, China sacrificed its future. Children are the future. You need them to pay the taxes and man the factories of tomorrow. More critically, in the age of modern consumer capitalism, you need them swiping the credit cards and buying the homes of tomorrow. This is particularly relevant for China given its government’s stated goal of reorienting its economy away from exports and towards domestic consumption. Of course, children require mothers to bring them into the world. And they are about to be in short supply. China’s population of women of prime childbearing age (25-29) goes into steep decline starting next year. Average age of marriage and first childbirth are rising worldwide, and as a general rule the more developed a country becomes (and the more educated its women become) the higher the age of marriage and motherhood. So, let’s assume that China’s women are postponing motherhood under their early 30s. Even then, China has a major problem. Its population of women aged 30-34 goes into steep decline starting in 2020. Conception is still possible into the late 30s and 40s, of course. But it gets more difficult and, realistically, it limits family size. What does all of this mean? Chinese stocks are cheap today and generally hated and under-owned by investors. In a world in which American stocks trade at nosebleed valuations, Chinese stocks are a bargain. Just don’t fall in love with them. Given the deflationary demographic abyss China faces, Chinese stocks are a long-term sell. ﻿Though 3D printing isn’t a new technology – it’s been around for 30 years. The process is faster, cheaper and more reliable than ever. ﻿One day, even living tissue and organs could come from a 3D printer. So a doctor could print you a new liver during surgery. There has been a lot of buzz about this industry recently and for good reason. This is an amazing technology. And it promises to enrich our lives. While the basic uses of 3D printing are already here, these more complicated uses of 3D printing may be further down the road than many readers believe. The exciting part is that I believe the investment public is missing out on the REAL story and potential growth prospects for this sector. Though some day everything mentioned above will be possible, it may be another 20 years before it is commercially available. In fact, many experts project the 3D manufacturing market to be worth only $3.6 billion in 2016 and only $5.2 billion by 2020. That might sound like a let-down, but it actually means that we’re not even close to seeing the biggest gains in this sector. So the industry has a bright future, but the big profits may be decades away. Despite the likely waiting period, 3D technology stocks have made incredible rallies. 3D Systems (DDD) is the most common name from the group. Its stock is up 420% since January. Stratasys (SSYS) – the nearest competitor – is up 220% during the same period. Where’s the real growth to be found? build. However, these projects can be costly, and staying within a budget is difficult. Moreover, computer software can only do so much. At some point, testing with a tangible good must be done. Though 3D printers are widely available at some point, we’re still in the earliest stages – again, that’s a good thing. So these stocks were priced to perfection. And both P/E ratios would have a long way to fall were they to decline to levels from even a year ago. However, once the P/E ratios come back down to normal levels, we’ll be very interested in owning one of these companies. Stratasys is especially appealing because of its RedEye business, which provides prototyping services to customers. 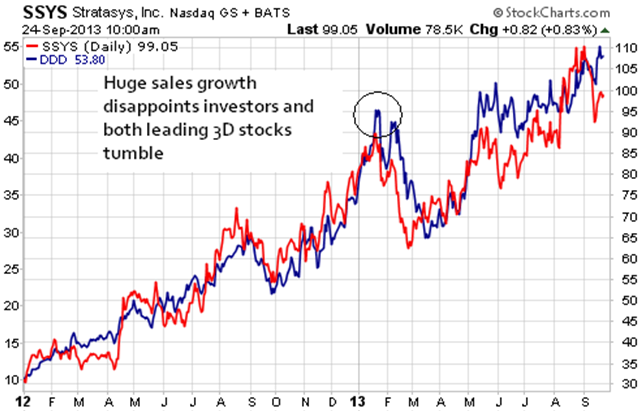 But we believe these two 3D printing stocks are dangerous at current prices. Plus the competition is fierce … no fewer than 31 companies manufacture professional-level 3D printers. So not to be a party pooper, but many investors have been swept up by the stories of these two companies, thinking they are the only players in a large game. That’s untrue, and valuations are rich at today’s prices. And these stocks may not be quite the investment they’re billed to be. ﻿Investors frequently focus on consumer aspects of a sector, forgetting that most commerce is business to business. In fact, over half of American GDP is strictly B2B – so whenever you find a growth sector, you should focus most of your investment research on that segment, especially because most investors ignore it completely. For example, most people have no idea that over 60% of Microsoft’s (MSFT) sales come from businesses. Investors focus on the idea of the PC being replaced by Apple (AAPL) and Google (GOOG) based tablets in the consumer sector, forgetting that almost zero businesses use Apple or Google software products, and the overwhelming majority use Microsoft’s business software. B2B’s market share dominance is the rule especially for sectors like manufacturing and fabrication systems. And while I expect that we’ll continue to see substantial growth in consumer 3D printer unit sales, I also know the real power behind 3D printer growth is likely to be seen in the sales of 3D systems, prototypes and one-off prototypes to businesses. That’s because manufacturer and fabrication businesses have extremely specific needs for highly automated, extremely defect-free products and processes. Creating these types of highly efficient and exacting manufacturing processes used to be extremely expensive and time-intensive. But with 3D printing, there’s much less waste and much more control over those processes. You don’t need thousands of workers and millions of dollars of machinery to achieve near-perfect products and processes with extreme accuracy. It might seem a little odd that one single company is now worth more than the entire publicly traded market of a major economy. But that’s what has happened to Apple AAPL +1.23% just recently: that one single firm is now worth more than the entirety of the Russian stock market. However, this isn’t so much a story about how wonderfully Apple is doing (the valuation of Apple is still quite low going by the traditional numbers like EPS and so on), rather, it’s more of a story about how appallingly bad Russian public policy is. Apple is now worth more than Russia’s stock market, new data have revealed. The US technology giant’s market capitalisation has overtaken the combined value of all Russian public companies for the first time in history, Bloomberg reported. Apple, the world’s most valuable company, has added $147bn to its market cap this year and was worth $652bn as of November 12. The shares closed up 1.2pc to $114.18 each on Friday. Russian equities have fallen $234bn to $531bn in the same period, Bloomberg data stated. It’s definitely a fun number but as I say it’s not really about how much we’re all valuing Apple at. Sure, the company is incredibly successful and it is the world’s most valuable publicly traded company. But given the profits it is making it’s not valued particularly highly by the normal methods we might use to judge company valuations. The p/we ratio most certainly isn’t excessive and so on. No, what this comparison really shows us is how badly the Russian economy is doing. And there’s both macroeconomic and microeconomic reasons for this. The macroeconomic ones are that the country is hugely dependent upon oil and gas exports: and so also is the government budget. Those prices have fallen recently and thus so has the currency and the government budget just isn’t going to anywhere near balance at these numbers. Add to that the way in which many Russian companies have substantial debts denominated in foreign currency (those debts become more difficult to repay as the ruble plunges) and we’ve got everyone thinking that those companies really aren’t worth very much. SODA – Ready to Explode or is the Fizz Gone? The recent roller coaster ride of SodaStream International (SODA) has been a lot like a child who has been given too much cola at a birthday party. Dizzying highs and sudden fits of upward energy have been followed by sudden drop offs in activity and the eventual (and inevitable) crash which included a stomach churning fall from $50 to $36 at one point. The most recent traded price of $40.10 represents something of a recovery to normal levels, but the question remains: is SodaStream ready to explode or is the fizz gone from the stock? *** We've recommended SodaStream earlier on and hopefully you were able to participate in the initial ground-floor opportunity not to mention the awesome option plays that should have netted you a nice tidy sum. Unfortunately, like everything good in life... it will eventually come to an end. Hopefully, your stop losses were applied and you came out way ahead of the game. The fact that SodaStream's market segmentation is beginning to work against it doesn't mean that we can't profit from the outcome whether good or bad. SodaStream is based on a pretty simple premise, which they themselves embrace as the “razor and razorblades” model. The phrase refers to the model pioneered by the Gillette razor blade company early in the 20th century with their disposable razors. The razor handle is the constant, and is reasonably durable with minimal need to replace it on a regular basis. The blade is the element that must be replaced regularly to ensure regular and optimum performance. In SodaStream's case the razor handle are the range of drinks makers. The blades in this case are the range of consumable products that SodaStream provides for sale to operate the drinks makers. These come in three broad categories. The first is the simplest and cheapest, which encompass the range of syrups that customers can buy in order to flavor their drinks. The second are the carbonators that are used to add the bubbles (fizz) to the drinks. These are sold in the form of carbon dioxide canisters and are specifically engineered to fit different sized drinks makers. The final piece of the puzzle is the bottles that the company provides in order to house the homemade brews and cocktails. The business model relies on a number of levers to drive customer demand, including health benefits of home made cola and drinks rather than additive and preservative laced commercial brands by industry behemoths such as Coca Cola and PepsiCo. Another differentiator is the environmental impact of the company, which proudly displays that they have saved the Earth from over 3 billion bottles going to landfill on their site. A final differentiator is the long held and time honored tradition of the celebrity endorsement, with the brand recently bringing Scarlett Johansson on board as their inaugural global brand ambassador. Despite the newly added star power of one of Hollywood’s most recognizable faces, the most recent earnings figures disclosed in early January did not impress the stock market. This was the catalyst for heavy selling of the stock, which saw the rapid fall from a strongly supported $50 to much lower $35 levels. The top-line revenue figure was a strong point, with incoming earnings of $562 million for the fiscal year ending 31 December 2013. However, despite the record sales figures, several factors contributed to the bottom-line earnings disappointing and falling well short of market expectations at $41.5 million. The company highlighted that a extremely competitive holiday season in the United States with strong competition was a strong drag on performance. This is particularly so for a retail exposed company such as SodaStream (SODA) which draws a disproportionate amount of it’s earnings from the final quarter of the year. They also identified higher costs in providing their product coupled with lower prices on the shelf able to be charged as a result of heavy discounting, resulting in a margin squeeze from both sides of the equation. A final excuse was the adverse effects of foreign exchange rates, as the US dollar recovers from historic lows. Worryingly, these factors are not one off events, and are likely to represent continuing headwinds in the coming year. Retail is a tough landscape to play in these days, with the rise of online shop fronts, heavy competition and lower cost production and substitution. However, those companies that sell non-discretionary consumables are somewhat insulated from these forces. SodaStream sits somewhere in the middle, with soda an everyday item, but SodaStream’s products on the premium end of that scale. Going forward, the companies success depends on leveraging strong brand awareness to drive sales of it’s drinks makers, and therefore create repeat business for it’s lower margin syrup and carbonation products. The company could draw on a page from the N’espresso playbook, which has been hailed as the best brand reinvention in a decade, creating a premium brand around the most everyday drink, coffee with effective branding. They also need to invest in new products to increase interest and curiosity in their consumers and complement their existing trademarked brands which include SodaStream, Soda-Club, Aquafizz and AlcoJet among others. Effective marketing strategies could also center around the environmental benefits of using the system as well as the health and cost advantages, all themes that are likely to play well in their major developed markets. Partnership with large brands helps deliver this message, as the recent tie-up with Samsung demonstrates, but it could take the attention of a truly global player to deliver these strategies, which is why it is rumored that drinks giant PepsiCo is considering buying the company. 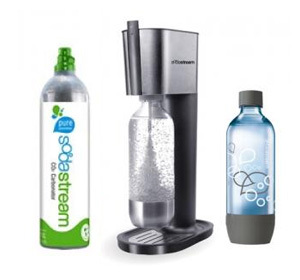 SodaStream (SODA) is a differentiated product in the extremely competitive consumer goods and brands space. Addressing their contracting margins and increasing sales globally to offset heavy reliance on the US market are a priority for the company, and it remains to be seen whether they can do this on their own, or whether they will need the partnership or ownership of a larger player to deliver on these strategies. Bank of America Corp (NYSE:BAC) is seeing accelerated option activity on both the call and the put side today, with volume running at a 5% and 22% mark-up to average intra-day levels, respectively. The two most active strikes expire at Friday's close, and it seems a number of speculators are split on the stock's short-term trajectory. The most sought-after position heading into the final hour or so of the session is BAC's weekly 3/7 16.50-strike call, where a healthy portion of the 19,400 contracts traded have changed hands on the ask side. 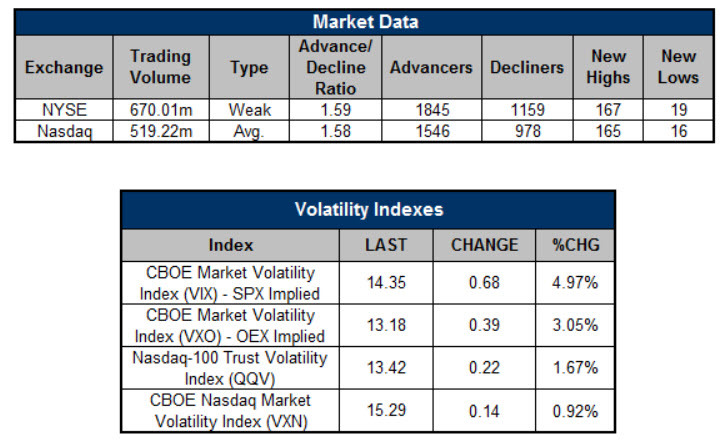 Implied volatility (IV) has jumped 6.8 percentage points, hinting at buy-to-open activity. Delta for this out-of-the-money call is docked at 0.32, suggesting a 32% chance of an in-the-money (ITM) finish at week's end -- when the options expire. Meanwhile, the weekly 3/7 16-strike put has also garnered notable attention. Specifically, 83% of the 14,366 contracts traded here have done so at the ask price, and IV is up 5.7 percentage points, indicating the initiation of new bearish positions. The options market isn't too confident this put will be ITM at Friday's close, as delta is perched at negative 0.24. On the charts, BAC has spent most of 2014 bouncing between the $16 and $17 levels, translating into a modest year-to-date advance of about 5%. However, a large portion of option traders have been focusing on the aforementioned options, as peak call and put open interest in the weekly 3/7 series can be found at the 16.50 and 16 strikes, respectively. In today's session, Bank of America Corp (NYSE:BAC) has succumbed to the broad-market sell-off, and was last seen 1.2% lower at $16.32. The Dow Jones Industrial Average (INDEXDJX:.DJI) is pointed lower this morning, as rising geopolitical tensions between Russia and Ukraine cast a dark shadow on the day. Back on the homefront, investors will have their hands full digesting weekly jobless claims, the latest durable goods number, and Federal Reserve Chief Janet Yellen's testimony in front of the Senate Banking Committee. The head of the central bank is heading back to the Hill for her second appearance in front of Congress after her initial testimony was previously delayed due to inclement weather. Meanwhile, taking a quick look at the charts, Schaeffer's Senior Trading Analyst Bryan Sapp notes, "The same levels are in play from earlier this week -- specifically, 1,850 on the S&P 500 Index (SPX) and 1,180 on the Russell 2000 Index (RUT). Each has briefly spiked above these key areas, but every rally has been unsustainable. The recent range in the market has likely frustrated both bulls and bears, as there has been no directional lean and very choppy intraday price action." Futures on the Dow Jones Industrial Average 2 Minute (INDEXDJX:.DJI) are about 52 points below breakeven. The Chicago Board Options Exchange (CBOE) saw 1,313,950 call contracts traded on Wednesday, compared to 755,043 put contracts. The resultant single-session put/call ratio remained at 0.57, while the 21-day moving average arrived at 0.60. "The new Investors Intelligence poll surfaced yesterday, and we saw a pretty substantial increase in bulls," continued Sapp. "While this spike represents a one-month high in the reading, we're still below levels seen in December. The amount by which this poll has jumped around in recent weeks shows just how bipolar market participants have been lately. We're seeing many knee-jerk reactions in sentiment, and this leads me to believe that a break of the recent range will lead to an outsized move in stocks once the market shows its hand." The U.S. dollar index is flirting with a 0.1% lead ahead of the bell, with the currency last seen at 80.49. Elsewhere, crude oil is looking to pare a portion of yesterday's gains, with crude for April delivery down 0.2% at $102.42 per barrel. Gold futures, meanwhile, are on pace to resume their recent uptrend, with the front-month contract 0.4% higher to linger near $1,332.80 an ounce. Coming out today are durable goods orders for January and weekly jobless claims. In addition, newly minted Fed chief Janet Yellen will testify before the Senate. Stepping up to the earnings plate are AMC Networks (AMCX), Arena Pharmaceuticals (ARNA), Best Buy (BBY), Chico's FAS (CHS), Chiquita Brands (CQB), Clean Energy Fuels (CLNE), Deckers Outdoor (DECK), Gap Inc. (GPS), Halozyme Therapeutics (HALO), Kohl's (KSS), Linn Energy (LINE), Monster Beverage (MNST), OmniVision (OVTI), Salesforce.com (CRM), Sears Holdings (SHLD), Sotheby's (BID), Splunk (SPLK), and Wendy's (WEN).